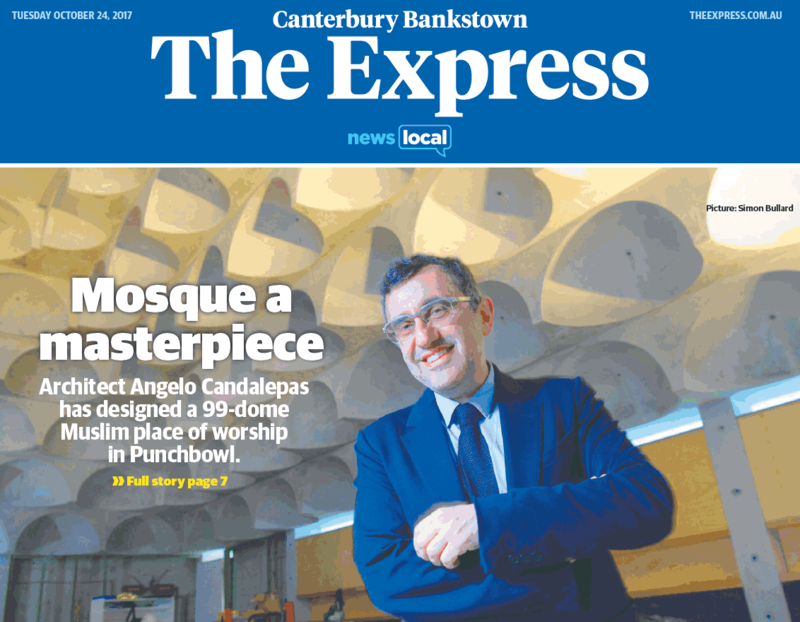 The Punchbowl Mosque has been featured on the cover of an issue of the The Canterbury-Bankstown Express headlined “Mosque a Masterpiece”. The mosque is not yet complete but is already drawing national attention for its single-material concrete design which Mr Candalepas says gives the building an ancient dimension with “no tense or time”. The unfinished concrete poured into 99 domes will be inscripted with gold tattoos with the 99 Arabic names for Allah. The mosque was unveiled recently as part of the Sydney Architecture Festival and director Tim Horton said it was a “remarkable work of architecture”.